QLM can protect PDF document with the same features available when protecting Windows applications. 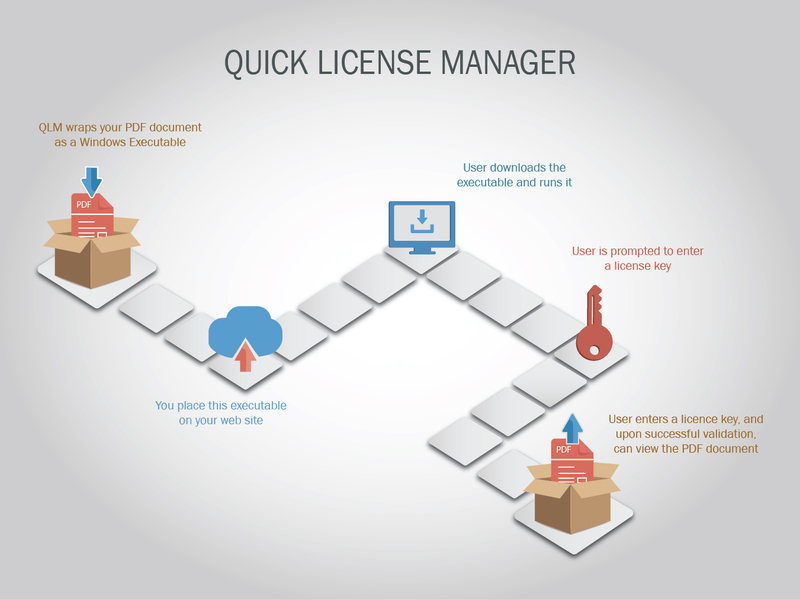 To copy protect a PDF document, QLM wraps the PDF document as a self contained license protected Windows executable. Your PDF document can then be protected with the same features as any other Windows application such as online activation, computer bound licensing, subscription and so on. License activation is done via an Activation Key that can be generated from the QLM Management Console, via an API call or through our integration with leading e-commerce providers such as Paypal and others. The first time a user tries to open your PDF document, he is prompted to enter an Activation Key and activate it. Upon successful activation, the user can view the content of your PDF document. Read about QLM’s extensive features. Follow step by step instructions to protect PDF files.